Whew! What a rush all this Resident Evil 2 Remake stuff has been. While I already wrote a pretty extensive analysis of the two trailers released so far, there’s tons of gameplay from the E3 demo, each video showcasing its own unique tidbits to scrutinize and analyze. Collectively, there are hours of footage to go over (even though they’re all of the same 20-minute demo), and trying to sift through all of them to analyze and discuss is something only an absolute madman would try to pull off. So let’s sift through all these videos so we can properly analyze and discuss what we can from the Resident Evil 2 Remake demo! 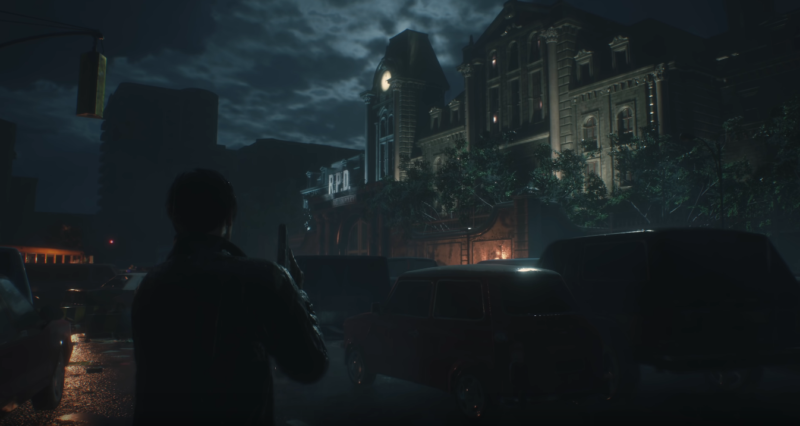 For the sake of not wanting to write a ten million words long article, I’ll be breaking down each aspect of what we can find in the Resident Evil 2 demo (locations, weapons, design, etc) into separate articles. Today I’m starting with the simplest aspect to analyze, the RPD station map. 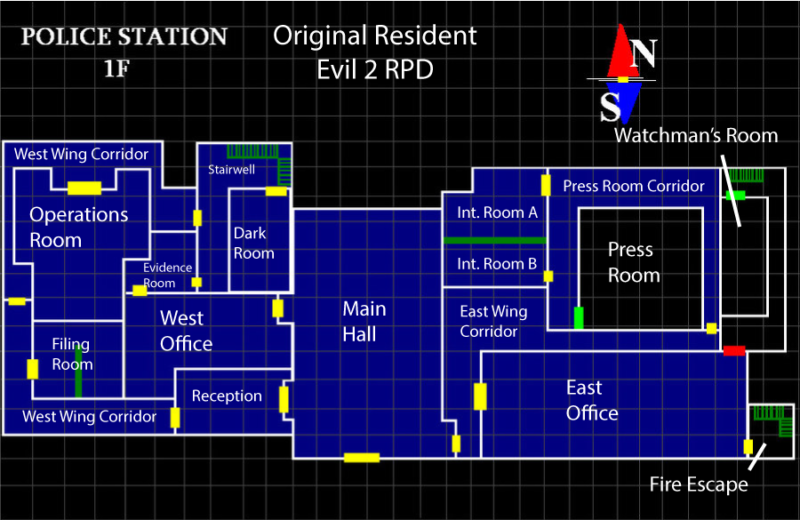 The RPD building is perhaps the single most explored location in all of Resident Evil history, appearing in almost ten games to date. 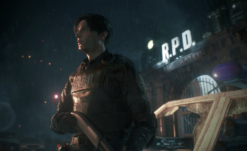 It’s an iconic environment that serves as a centerpiece for nearly everything that happened during the Raccoon City outbreak and carries a deep seeded nostalgia and familiarity to it for fans of the series. It’s also perhaps one of the most consistent locations, despite receiving various changes and upgrades over the years, the general layout and look of the building has remained the same. 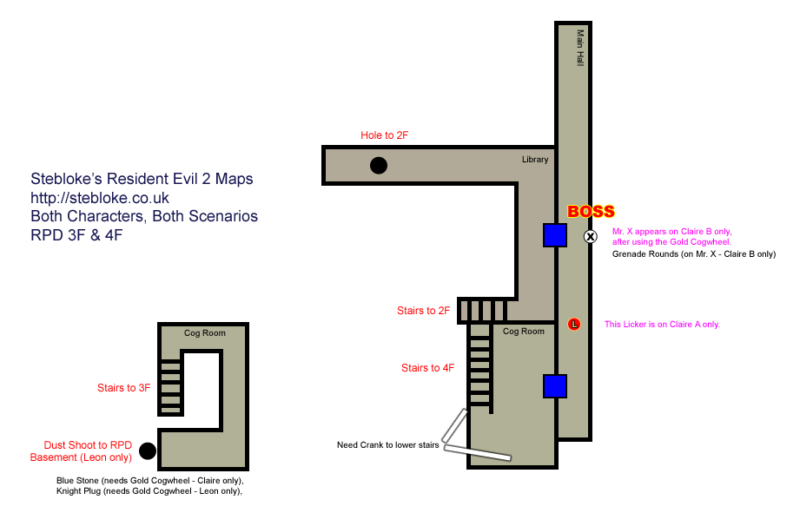 Veteran players have the layout memorized, and there isn’t enough of a difference for a player who loved RE2 to suddenly get lost in say, the Outbreak File 2 version of the location. All that is about to change, however, as the new remake is completely overhauling the entire building. Modernizing and retooling this classic location, from major layout differences to necessary improvements, the RPD has never been bigger or more diverse. Even more exciting is the fact that we’ve only seen a fraction of the full layout. From the word go, we can already see massive changes in layout, starting with the first floor. 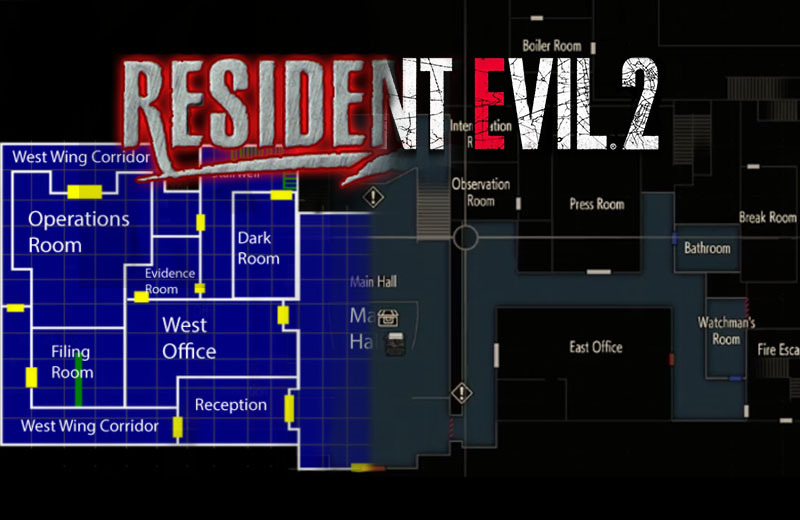 Comparing the original map and the new one, we see that most of the rooms from the original game are where they were originally, there have been massive layout changes in how we explore and reach the original rooms, as well as the addition of multiple entirely new rooms. Starting on the west side, we see that there is now one long hallway that joins all the rooms together (as opposed to three separate hallways in the original), but barricades and destruction forces us to find alternate means to reach each room (creating a similar effect to having them be separate hallways). There is now a new room in between the Operations Room and the Records room, although I suspect that this is a larger version of the storage room with the fireplace (where the first Red Jewel is obtained in RE2 Classic). The Evidence room has been separated from the West office to become the Safety Deposit room, an entirely new area where the player can find the shotgun and unlock safety deposit lockers for ammo and other items. It’s worth noting as well that the storage chest that was previously in the reception room has been moved to the main hall. The main hall itself has also received a major overhaul, namely swapping out the folding escape ladder (previously the only way to reach the second floor from the main hall) to a set of double stairs. The Goddess statue has been moved to behind the front desk, and the front desk is now on the first level of the main hall, rather than being accessible via the ramp. Moving to the east side, we see that the same types of changes have been made here. What was once two hallways has been modified into one, but barricades have made parts of it inaccessible for now. There are now two entirely new rooms: a bathroom (there is actually a second bathroom, but it’s inaccessible) and the watchman’s room. 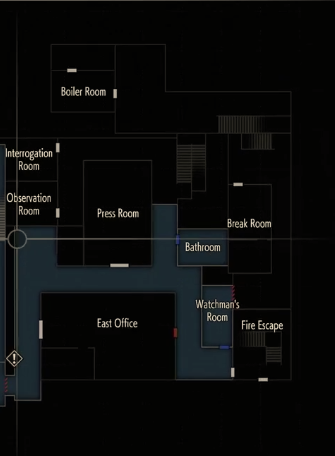 While there was a location fans referred to as the watchman’s room in the original game, it was due to a journal found in that location, not the actual purpose of the room. That original location still exists but is now officially the break room. The press room now has a set of double doors that face the south of the building, whereas previously the only door faced the west and was across from the interrogation and observation rooms. There is also now a new set of stairs across from the interrogation room (presumably leading up to the second floor). There are also a handful of mysterious spaces in between rooms now, and I feel like it would be strange if they didn’t hold secrets of some kind. The East office has also been separated from the fire escape stairs. It’s also worth pointing out that this area is now separated from the main hall by a security gate, not a door like in the original game. On an interesting note, we can also spot the boiler room, a small shed filled with machines that held the crank wheel for scenario A. This area was only accessible from the exterior of the RPD, and it looks like that’s still the case here (the stairs leading up connect to the Helipad, like they did in the original game). There’s also a new, smaller room inside this room, perhaps a storage area. Moving onwards and upwards, the second floor is mostly inaccessible in the demo. 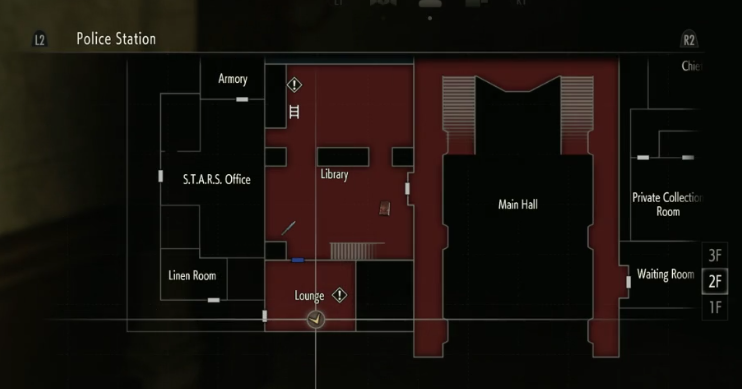 We do get to see a partial map during the demo, however, and the changes are even more massive than the first floor. The S.T.A.R.S. office is now much bigger (possibly to add in the previously absent Bravo team desks) and has a new adjoining armory room (which may pack a serious nostalgia punch for fans, potentially seeing items missing, lost forever in the Spencer mansion). There also appears to be a small, separate office just to the right of the door, possibly a standalone office for captain Wesker or the giant radio set up has been moved into its own space). Outside of the S.T.A.R.S. office, we see that there is now a new linen room, i.e. a laundry room. It’s pretty common for officers to have to work multiple shifts and need a change of clothes, so this isn’t at all out of the question. There is also an entirely new lounge area, replacing the waiting room with the soda machines from the original game. The library is now massive, scaling most of the second floor’s west side, and has a new ladder to reach the third floor. Over on the east side (which wasn’t accessible at all in the demo,) we can only partially make out the waiting room, the private collection room (Chief Irons’ macabre trophy gallery where Claire first meets Sherry in RE2 Classic), and just barely Chief Irons’ office proper. However, even though not much can be made out here, there is another partial map seen in the actual map item itself that Leon picks up. Yeah, we’re zoomin’ and enhancin’ here. The East side is almost totally overhauled here, with a new “art room” (possibly replacing the art storage room where the two Red Jewels are used in the original game), the set of stairs seen on the first floor connect near Cheif Irons’ office, and a massive new area on the far east side of the building. Best guess is that it’s the heliport, that’s where it was in the original game), and the thinner lines bordering it may indicate a lack of a solid wall. It also looks like that “private collection room” we discussed earlier has been separated from Irons’ office, accessible from the hallway rather than having to enter Iron’s office first. 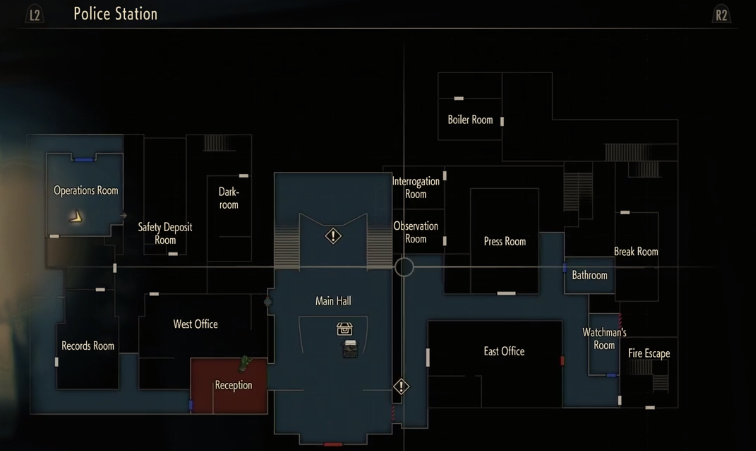 It is worth noting again that these maps are only partial, and that we’ve already seen some more of the second floor than shown here. There is also a shower and locker area to the north of the S.T.A.R.S. office, and another security shutter near the stairs. Back to that blurry image from before, the third floor has had perhaps the most massive upgrade of any of them, seeing as it is now more than one room. 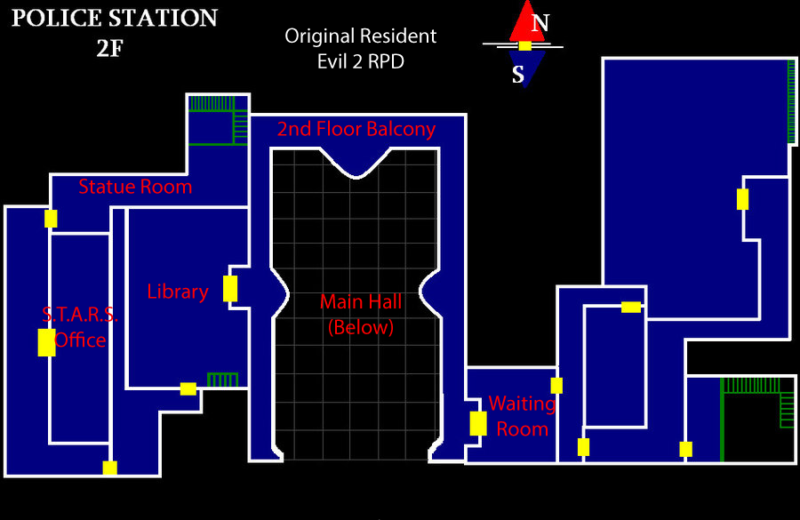 In RE2 Classic, the third floor consisted entirely of a balcony in the library and a maintenance room for the clocktower. Now, the third floor is a completely fleshed out floor on both west and east sides. While little of the descriptive text can be made out, we can see new West and East storage rooms, an expanded balcony to the library, and several new rooms with unknown purposes as of yet. We do get to see some of the west side of the third floor in the demo, the storage room and a small locked off area containing a statue. I suspect that there is potentially more to explore on this floor than shown here, considering the look of the RPD’s exterior, and even the chance of a fourth floor (although that is pure conjecture on my part, I will admit). 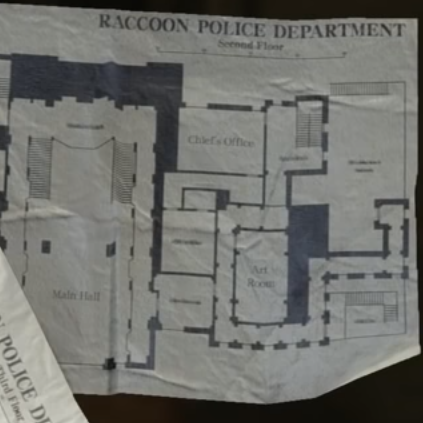 There’s also the fact that this map doesn’t detail any of the RPD’s basement areas, which more than likely will have received just as much of an upgrade as everything else. 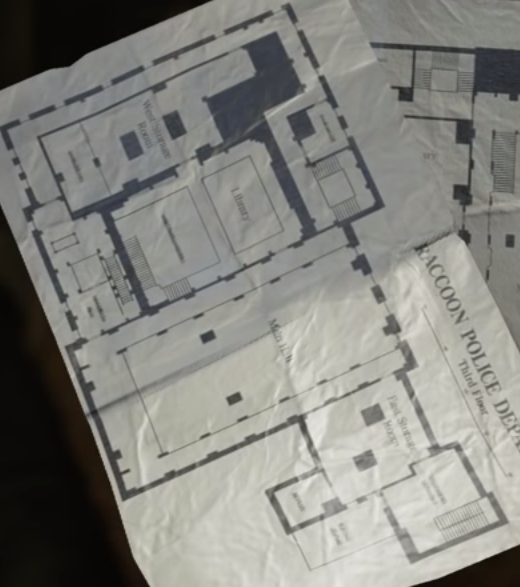 On top of that, there’s the fact that this is all just the RPD station, excluding the sections set in Raccoon City proper, the underground sewer system, the marshaling yard, and the Umbrella labs- not to mention anything else new that could be being added. There’s a tremendous amount left to look forward to still. That’s all I could find for now, but if there’s anything I missed let me know. There are dozens and dozens of videos of this demo, and it’s very possible that I haven’t seen them all.